It is perhaps human nature to believe that everyone that "supported" the Nazis were bad people. The truth is that many people were simply trapped in an environment where speaking out meant imprisonment, torture or death. Elsie's family operated a bakery in Germany during the war and they were simply trying to survive along with others in their community. Elsie's older sister had been taken into a "breeding" program and her sole purpose was to produce kids for the great Aryan nation. Elsie is left at home and as a teenager, she only wants to enjoy her teen years. Unfortunately she grows up fast when faced with unthinkable decisions, such as hide a young Jewish boy or report him in which case he'll surely die. To say that Elsie's life hasn't been easy is somewhat of an understatement, but she perseveres and ultimately winds up married to an American GI. She relocates to the US and eventually has a daughter and builds a business baking all of the foods she fondly recalls from Germany. Reba is only looking for a story on multi-cultural holiday celebrations when she enters Elsie's bakery. Reba is happy with her relationship with Riki, a US Border Patrol agent, but she isn't sure if she wants to marry him. Reba thinks she wants more from life than to stay in Texas and get married. It isn't until she gets everything she wants that she realizes she prefers simplicity and misses the love of her life, Riki. 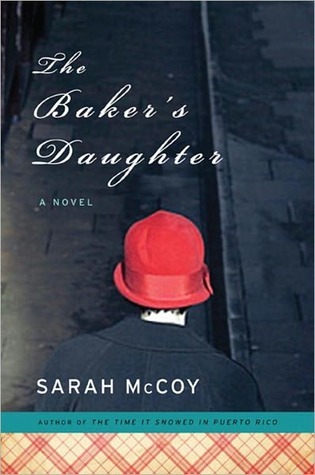 The Baker's Daughter is about much more than survival. It's about doing what feels right even if rules say it is wrong. Elsie faced this decision when she helped a young Jewish boy, feeding him, clothing him and ultimately helping him to escape. Riki faces a similar situation when dealing with families that are desperate to escape their lives in Mexico at any cost. 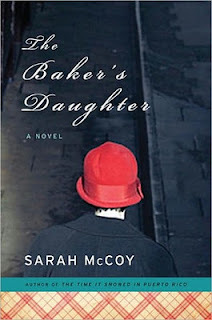 Ms. McCoy has provided a stirring and heartfelt story with The Baker's Daughter. This isn't a fast read primarily because of the subject matter presented (World War II, anti-Semitism, illegal aliens, etc. ), but it provides a thought-provoking albeit fictionalized glimpse into life that provided this reader with a slightly different perspective. I really enjoyed this one, I got it from netgalley as well. Elsie's life was just fascinating.